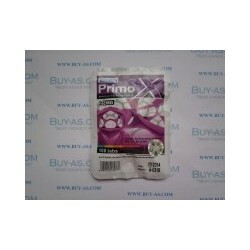 Primox is an oral steroid which contains 25mg of the hormone methenolone acetate. Primobolan, as it is often called, is a very popular steroid amongst bodybuilders who are in the "cutting" phase of their training and dieting. This steroid is very mild in its nature and seems to work exceptionally well with calorie restricted diets. Those looking to use Primox in a cycle might stack it with a low dose of a Testosterone Enanthate and an oral such as Winstrol or Anavar. Primobolan is also a very popular steroid with women bodybuilders where it's low androgenic properties and mild nature makes it a very safe choice for them to use. Male bodybuilders often use Primox in a dose of 25 - 50mg a day, for a 8 - 12 week cycle.